Saturday, September 14, at 7:30 p.m. The Unitarian Universalist Society of Middleboro is pleased to be sponsoring a Blue Grass Concert featuring the band, Riley Coyote, on Saturday, September 14th at 7:30 in its beautifully acoustic sanctuary at 25 South Main Street, Middleboro. This church fundraiser will be selling tickets at the door for a suggested donation of $10.00. All are welcome and the donation is flexible to extend a welcoming invitation to everyone who wants to attend. All four band members grew up in Middleboro, in fact, one grew up in this same church and his mother served as minister for over 12 years. Their family enjoyed the Grey Fox music festival every year which influenced the love of bluegrass music. The band met through mutual friends and began playing bluegrass music a couple years ago, and have been going strong ever since. 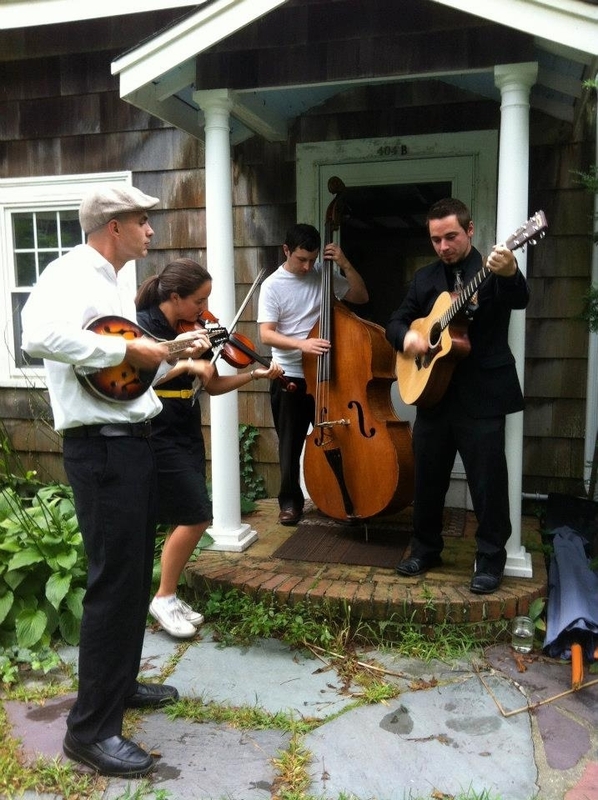 The members include Joe Tummino on Guitar, Jim Lough on Mandolin, Joe Faria on Stand Up Bass and Kristen Riley on Fiddle. Riley Coyote plays old-time acoustic bluegrass music with lots of foot stomping energy. The band is proud to announce the release of their first original album, Carry Me Away. Check out their music: Music Video at http://vimeo.com/70226618, Facebook Page at www.facebook.com/rileycoyotes and at their iTunes link – https://itunes.apple.com/us/album/carry-me-away/id681471710. You will not want to miss this concert, see you all there for a great night of live music.